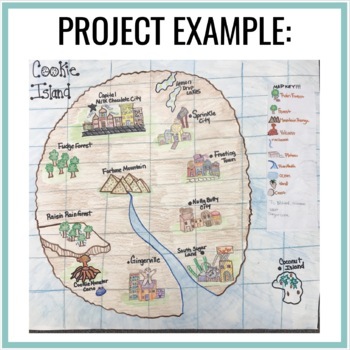 My students love this project! 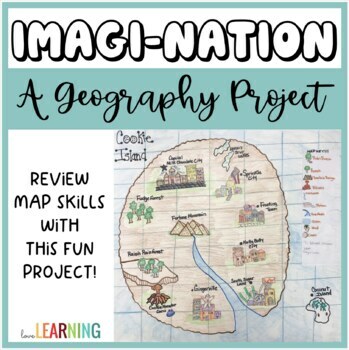 I use it after teaching students various map skills and geographic terms. Great way to assess learning without the old "paper and pencil" test. 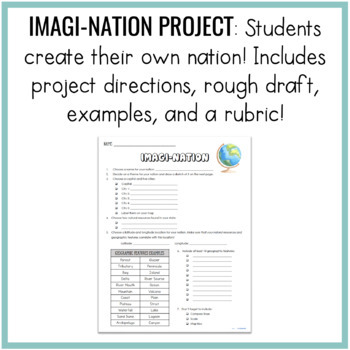 *Students use these two pages to plan and create a rough draft of their new nation. Their nation must include: a theme, cities, a capital, map key, latitude and longitude lines, natural resources, and geographic features. 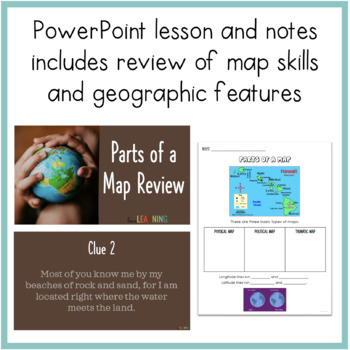 *This 31 slide PowerPoint game gives students geographic clues that match up with the geographic terms handout (see preview for an example). Redistributing, editing, selling, or posting this resource on the internet (including your classroom website) are strictly prohibited. Violations are subject to penalties of the Digital Millennium Copyright Act. If you would like to share this product with colleagues, please purchase the multiple user license.